Designed by UK guitar 'guru' Trev Wilkinson, Vintage basses feature his highly respected range of professional machine heads, bridges, vibratos and pickups, and are used around the world from the Grand Ole' Opry to Japan by artists such as Matt Bissonette (Elton John) Tony Butler (former Big Country) Steve Dawson (Saxon) and Jamie Mallender (Tony Martin). With its gorgeous maple neck and fingerboard with chunky black block inlays the VJ74M also features Wilkinson hardware, including two full-toned, crisp and clear bass pickups, that give the player wonderful tonal variations and awesome playability. 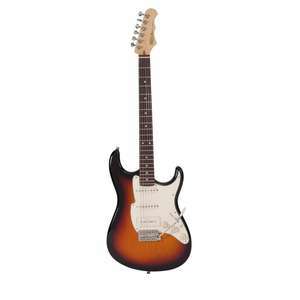 Available in a beautifully glossy Sunset Sunburst or Natural (with matching chrome bridge and pickup covers) finish.